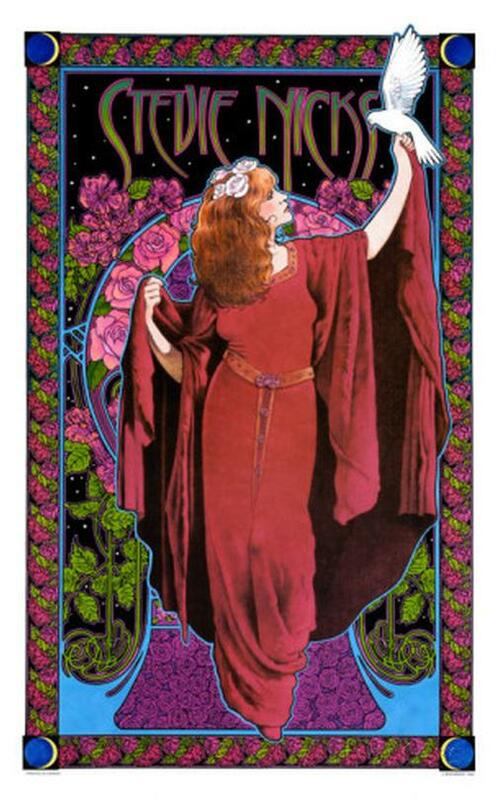 Commemorative poster for Stevie Nicks. 14 x 24 on card stock. Artwork by artist Bob Masse.